I needed a new liquid eyeliner pen, so it was an ideal opportunity to get one from Avon as I'm an Avon Lady. 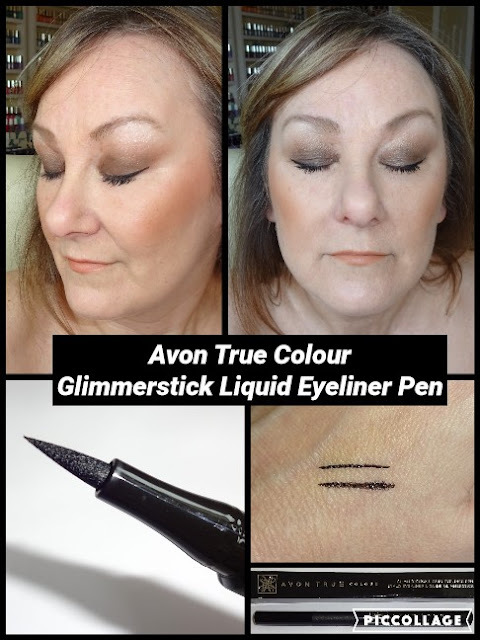 Avon has two liquid eyeliners pens, one from the True Colour range and one from the Mark range. But which to choose? 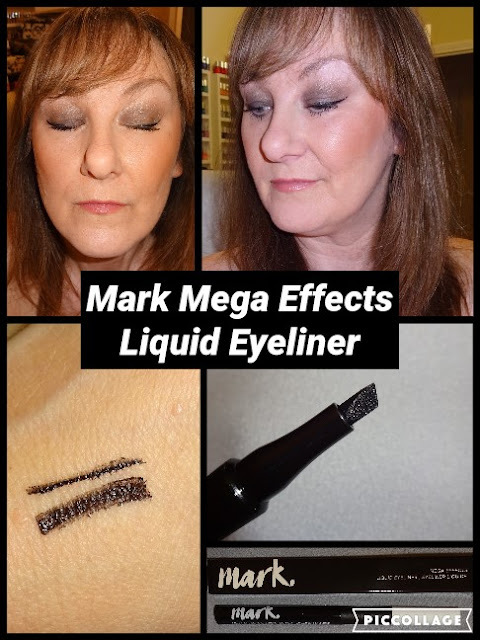 In the brochure the Mark liquid eyeliner pen was described as having a slanted tip to create thick and thin lines, however, the brochure picture didn’t show the tip as being slanted, so I thought there’s only one way to find out and that’s to get both of them. So I did. Indeed, the Mark liquid eyeliner pen does have a slanted tip, the True Colour pen has a traditional tip. I applied the eyeliners on top of my eyeshadow. I applied mascara, added a bit more eyeshadow and applied a second coat of eyeliner for definition. They both applied and lasted equally well. The pen sticks are identical the only difference is the nib. Also, the True Colour eyeliner has the ‘use within 3 months of opening’ symbol whereas the Mark one says ‘6 months of opening’. The ingredients are the same. I hope this review is helpful if you are deciding which one to get. If you use Avon's liquid eyeliners, which one do you use?